I have already sent these to my sister to buy for my Christmas present, that's how much I want them and how convinced I am that they'll sell out! 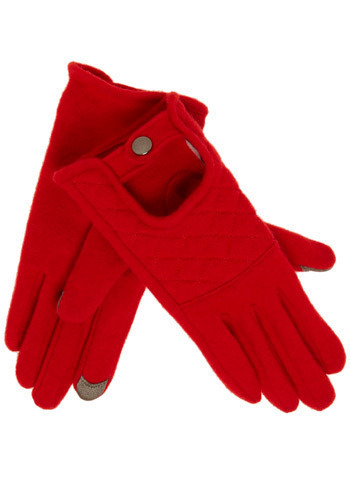 This cheery red gloves have special fabric on the tip of the index finger and the thumb of each hand so you can still use the touch screen on your phone, iPad, etc!! BEST IDEA EVER. And just $35 at ModCloth!